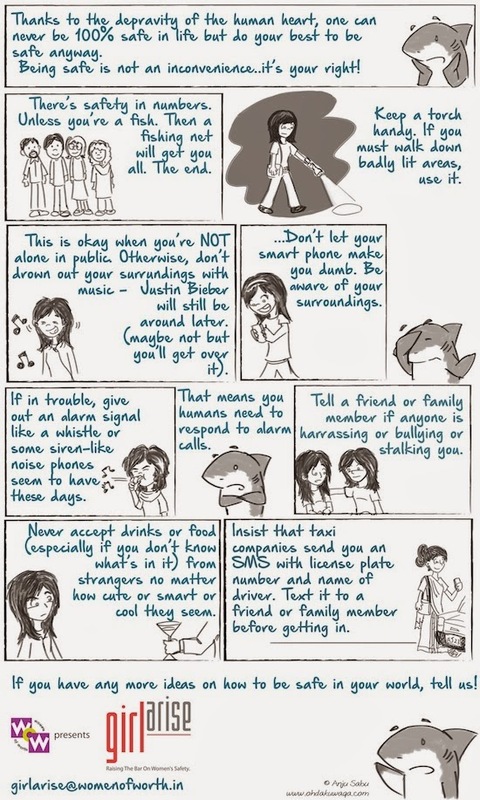 This was done for the "Girl Arise" safety campaign by Women of Worth. It's not fair that we need to take so many safety measures but sadly there are twisted people out there. And safety should never be an inconvenience. Do your best to stay safe and keep thinking up new ways to stay safe because the sick people out there keep thinking of new ways to make the world unsafe. Raise the bar on safety today!